Recently Serban Damboviceanu was invited in the Radu Moraru’s show, on Nasul TV channel, where he has spoken about the success story of the Corcova wines. First, his passion for wines was mainly a hobby – he didn’t thought that it would turn into a serious business. After achieving his studies in France, he came back in Romania in 2005, having in mind to buy some vineyards, but only 2 hectares, in order to obtain some small quantities of wine. He imagined that organizing a wine business, from obtaining process to marketing and sales, is something quite easy to do. But when he realized that things are much more complicated, and meanwhile he discovered the huge potential of such an activity, he decided to become completely involved into such an adventure. Together with a French business partner, Michel Roy, Serban Damboviceanu has completely re-built a vineyard in Mehedinti county. 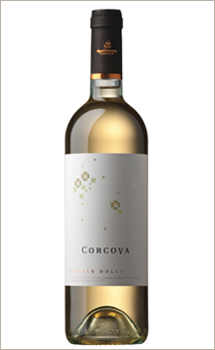 It is about the vineyard from Corcova, a village which has the proper climate and soil for grape culture. Once famous, the vineyard from Mehedinti was a ruin, but the beauty of this region and the art of wine skills of the people who lived there convinced him to invest there. It was also a lucky situation: there were European funds available to this kind of business. It was difficult to obtain these funds, but he eventually did. The two investors have bought almost 200 hectares of Corcova land. Among them, only a few were cultivated at the moment, but not in a proper manner. They have started by planting new grape varieties, bought from France, on 28 hectares, and today the vineyard has already 100 hectares, placed on the best areas. From the beginning the idea was to obtain some high quality wines – that’s why the grape varieties have been chosen very carefully. Romania has a huge potential in the wine production. First, the soil and the climate, the so-called terroir, are very good for the grape cultures. Here, there is a place for new terroirs, which could provide special wines, differently from France of Italy, where things are already settled. Secondly, in our country there still exist free lands, where one could plant vineyards, differently from other countries, which have no new lands anymore. Last, but not least, in the traditional wine countries, like France and Italy, the climate is changing, it becomes excessively hot, but Romania still enjoys a continental tempered climate. We can say that our country could become a real El Dorado of wines. 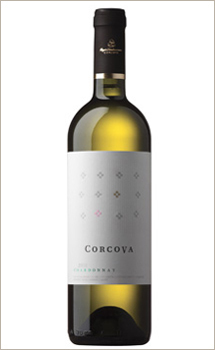 The vineyards from Corcova have an old story, being for the first time mentioned in an official paper issued by Mihai Viteazu ruler himself. But Prince Bibescu was the one who made famous the Corcova wines, between the two World Wars, obtaining recognition and appreciation of some very important personalities from the cultural and high society world, mostly from Paris high society people, who used to influence the new social trends in all Europe. In fact, Prince Bibescu himself belonged to this select and exigent world, because he was born in Paris and he lived there, coming to Romania only in holidays. His vineyard in Corcova was managed by a French specialist, who was an oenologist, recommended to the Prince by Nicolae Titulescu, the Romanian Ambassador in France at the time. That’s why Roy & Damboviceanu have decide to breed especially French varieties of grapes, in order to revive the tradition. Having a powerful brand, a quality production and a previous commercial experience, Serban Damboviceanu has focused on the building of a sales strategy. In the wine making industry, the only problems are those linked to the climate – warmth, rains, hall storms, thing which you can’t control. These details can delay the production of even ruin it. There are better years and worst years – the taste of the grapes is not identical each year, depending on the climate, the ripen period, the harvest moment. Of course, the general features of a wine, its identity, its taste, which are given by the four defining elements – climate, soil, human intervention and grape variety, are kept. More than that, in the wine business you should have in mind the taste of the consumers from a specific country, the local culture and traditions. Serban Damboviceanu is fully involved in his wine business, working in the sales and exports domain, which entails a lot of trips. The other partner, Michel Roy, is well grounded also in the commercial domain. 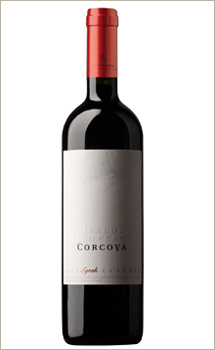 At Corcova there is French technical manager, who is also oenologist – he manages both vineyard and wine cellar. The entire team is very stable, working there from 2005 – this is really important for the final result. Serban Damboviceanu has also discussed about the importance of building notoriety and awarness for the Romanian wines, which are still sold worldwide under their real price. This should be done not only by winning some professional contests, but also by obtaining the high appreciation of some of the biggest international wine critics and oenologists. When they mark a wine as good, the demand for the producer raises instantly. 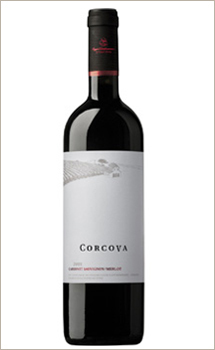 Corcova has already made a first step in this direction – two of its wines, Cabernet Sauvignon and Syrah, were mentioned by the famous wine critic Jancis Robinson. Of course, for obtaining a better rank of the Romanian wines, there is need for a well planned PR activity, and some commune actions of the Romanian producers abroad. 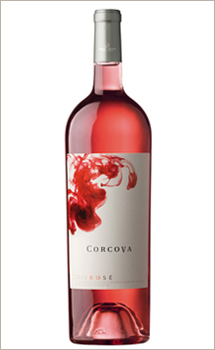 The Jirov series of wines, launched the last year by Corcova Roy & Damboviceanu, is growing in a consistent way, having now 7 wines, 5 of them being new ones! All these wines are available in the Mega Image network, which has shops all over the country. The new wines are Rose 2012, Chardonnay 2011, Muscat Ottonel 2011, Cabernet Sauvignon 2010, Merlot 2010. The new edition of the Sauvignon Blanc, from 2012, is joining them. The 2009 Cabernet Sauvignon is still available, too. 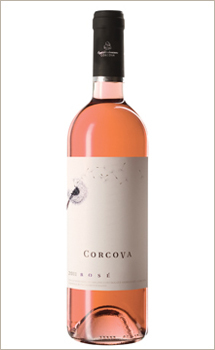 The name of the Jirov series has to do with their origins, because the vineyards are on the Jirov village hills, a village belonging to Corcova commune, in Mehedinti county. It is known that, especially when it pairs to a healthy diet, for example a Mediterranean one, a glass of wine is good for our health. French people even apply this "method" of the glass of wine to each meal, in order to help the digestion and to keep their good form. Of course, for this you need a natural and quality wine, not too strong, and to drink it with moderation. But what means moderation? Around 150 ml daily for women and 300 ml daily for men. And the secret is to consume the wine on a daily basis, in small amounts, and not to drink a lot, from time to time. Among wines, the red one could be considered the healthiest. In the first place, it contains less sulphites – it there are too many, the color of the wine is damaged. And if the red wine is dry, it is even more healthier, because sweet wine is hard to process by the liver, because of the added sugar. The wine is food, medicine, but meanwhile a "cultural" ingredient, being present to all important social events of the human communities, in all historical moments. And for the Christian Easter, the red wine is like a sign, like an emblem, together with painted eggs and pound cake. In the Profu’ Menci TV show on Antena 2 channel, the 6th of May, Cecilia Caragea has discussed about the advantages of the wine for our health and about the quality wines from Corcova, too.